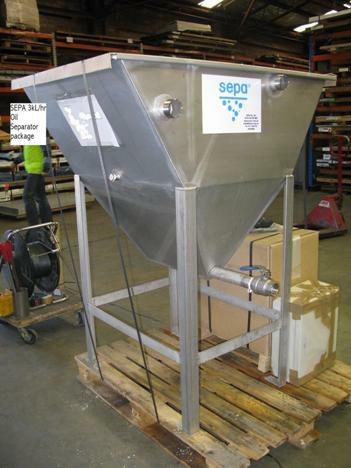 The SEPA® small Oil Separator units are of three sizes. Click link for dimension details. 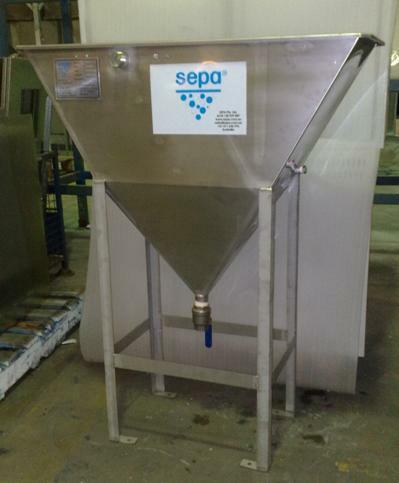 The SEPA oil separators have a dual plate pack, the first for optimum removal of oil droplets and solids followed by final polishing in the second pack. 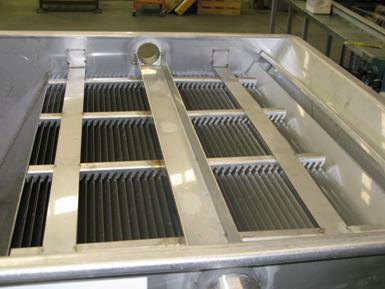 The separator is a patented design. A fully adjustable full width Water weir (Registered Design) is provided giving a side outlet, allowing a higher drainage point then proceeding models. A particular feature of the overall design is that if the separator is drained, a water trap is created in the outlet section, which prevents oil carry through to the Water Outlet weir on re-filling. 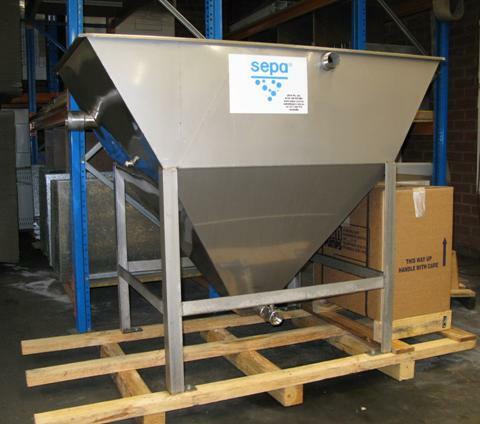 SEPA Oil Separators are authorised pre-treatment products by Sydney Water and other Australian water authorities. 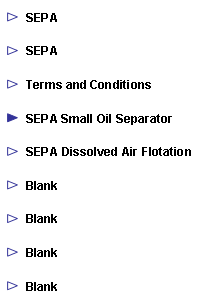 SEPA oil separators can be obtained as stand alone unit or as a package with an ASM diaphragm pump and float switch. Optional items include lid, high level alarm and control panel.